We provide one stop solution for all Software Testing Professionals needs with large pool of Software Testing Professions with varied testing skill. At any point “If there is a sudden surge in demand for Test engineers within a week we can scale up 1 to 100 resources on varied testing skill and domain”. We offer end to end professional service having proven strong experience in building team of resources in stringent time who will be highly productive from day one. Our team’s key differentiator is understanding the need and forecast of the customer and providing solutions to it with less turnaround time. 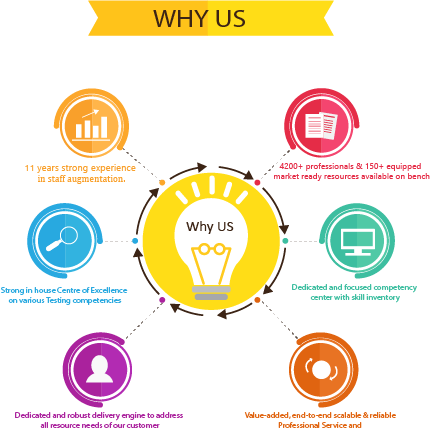 Our customer centric approach has created and provided tailored platform in understanding their unique culture and needs. Our team has delivered Extrovert capabilities in addressing the needs of our customers. We have flexible focused team to support our customer 24*7. Also “we define and believe that our customer success is our success”. We enter win-win contract with the customer to build an offshore, onshore or COE’s, delivery or shared professional services organization in software testing and operates it for a set period. 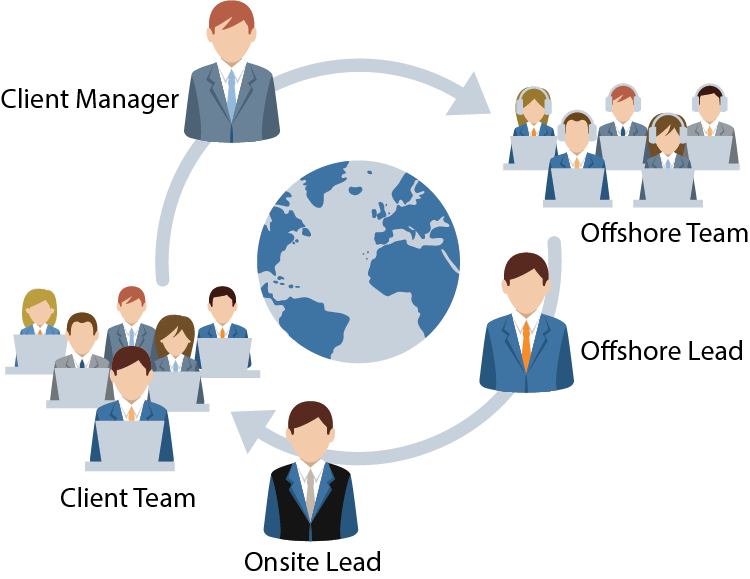 Unique Delivery Model, customized to work for niche, specific, volume, unique requirements meeting the professional needs of the client, mostly of team size from 5 to 50 plus. We design HTD model specific to the customer and provide timely and efficient cost-effective skilled team by training the required skill before their deployment to the project. Delivery model will bridge the skill mismatch in resource pre or post staffing stage to meet the unanswered, can be tailored, challenge in finding resource based requirements. This is a test consultation service to work on some of the demands where we will partner with client in providing Software Testing consultation service to support outsourced team working at client location on No commercial. Consultant will overall take some of the ownership on deliverables of team, on result based outcome model. Bench – Employees who are between project assignments at client side, finished projects from client side, ready for project allocation. Virtual Bench – Test Yantra will conduct interviews from our resource center and external, shortlisted data will be conditionally hired to Test Yantra based on client forecast, projected/future requirements.